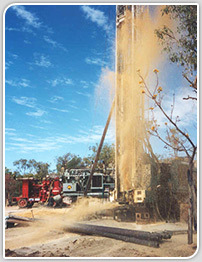 Welcome to Saprolite Environmental, a leading consultant in Australia in the areas of water management. At Saprolite Environmental, we offer a broad range of services from hydrogeological and environmental consulting to engineering and project management. Saprolite Environmental is a WA based family-owned and operated business formed in 2009 by Garth and Maureen Richards. Signup to our newsletter to keep updated with what is reguarly happening within our company.